Boom Studios/DC Comics’ crossover series LUMBERJANES/GOTHAM ACADEMY was full of question marks going in. Would the two popular properties mesh well? 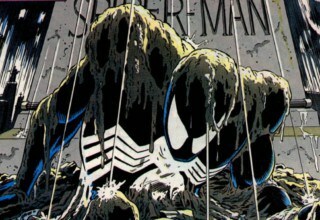 Could a creative team new to both titles handle these series so strongly associated with their respective creators? Which book would dominate the tone of the miniseries? Last month’s introductory issue answered all these questions and more, delivering a highly entertaining opening chapter. 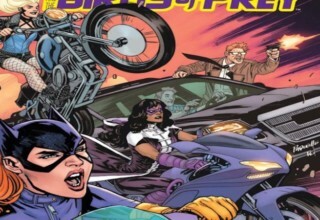 Instead of inquiries, the second issue of the series (written by Chynna Clugston Flores) had the weight of expectations. 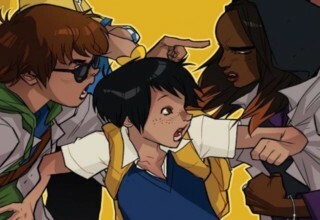 READ: Missed the first issue of LUMBERJANES/GOTHAM ACADEMY? Catch up here. The crossover’s second chapter begins with GOTHAM ACADEMY’s Olive and LUMBERJANES’ Jill, who at the end of previous issue had been separated from their friends by a group of demonic skeleton beings, waking up in a bedroom that’s straight out of 1986. The two have no idea where they are or how they got there, their only clue being the 1980’s style prom dresses for each of them to put on. Back at the camp, the combined groups try to figure out how to rescue their missing comrades. Initially the Detective Club and the scouts are at odds over how to proceed until, after deducing that their absent friends are at the Greenwood Lodge, Maps and Mal unite them with a plan. Back at said Lodge, Olive and Jill change into their totally 80’s outfits to investigate where they’re being kept. 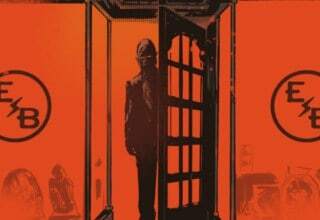 They’re unable to find a way out, but they do stumble across another couple of imprisoned kids who seem awfully familiar. 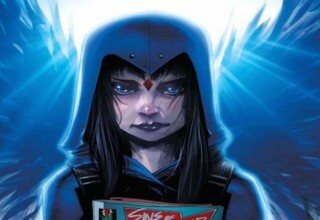 The issue ends with two major reveals that set in motion where the miniseries is going from here. 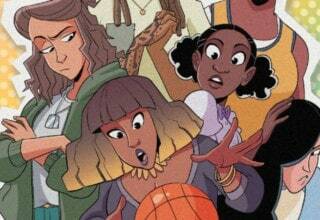 LUMBERJANES/GOTHAM ACADEMY #2 more than lives up to the expectations set by its predecessor. The plot of the miniseries continues to move at a steady pace, and so far seems to be combining the respective tones of GOTHAM ACADEMY and LUMBERJANES in a way that honors both. Without spoilers, the dual reveals at the end of the story left me quite intrigued about exactly where the creative team is going. 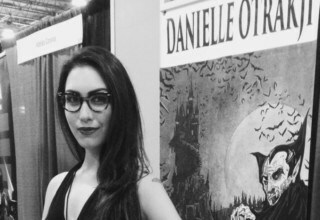 READ: Into quirky, female-led fiction? Check out our review of GHOSTBUSTERS. 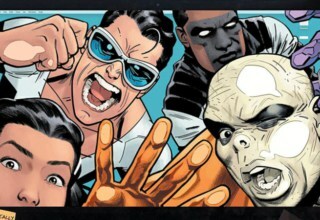 The strongest parts of the first issue were when the two groups of characters interacted with each other, and this issue is wisely made-up entirely of moments like that. Clugston Flores continues to show just how well she knows these characters for someone who has never written them before this miniseries. The interactions between Jill and Olive are spot-on with their normal characterizations. Instead of reading like two comic book characters crossing over, their interactions read like a couple of like-minded people naturally bonding over their similarities. The scenes with with the larger group fair just as well, with characters from each series bonding with their natural counterpart. I particularly enjoyed the Maps/Mal partnership and wouldn’t mind those two getting more spotlight as the series progresses. 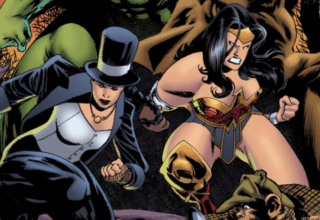 The art, from penciller Rosemary Valero-O’Connell, inker Maddi Gonzalez, and colorist Whitney Cogar, is once again a strong point of the story. 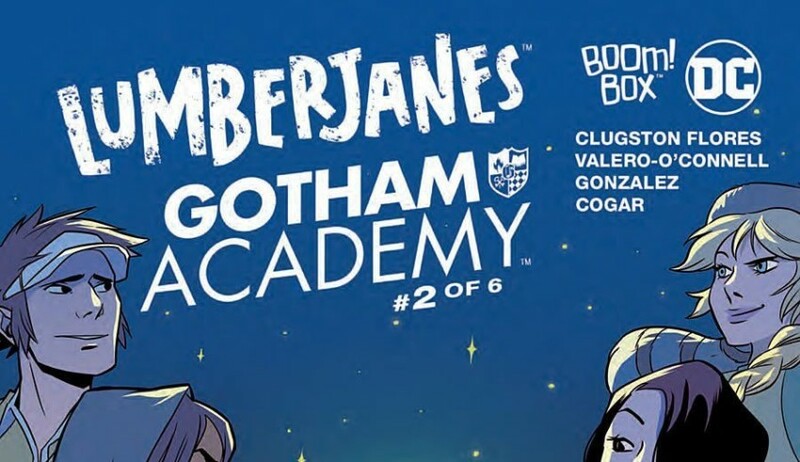 While it’s overall still much closer to the usual LUMBERJANES style than it is GOTHAM ACADEMY’s, the latter book’s characters look closer to their normal appearance this time. I particularly enjoyed the sequences in the 1986 bedroom that Olive and Jill were stuck in. The attention to minute background details such as posters, electronics, etc. had me looking over that scene several times trying to spot them all. LUMBERJANES/GOTHAM ACADEMY #2 is a winner of an issue that shows how well these two properties mesh together. The creative team uses their vast knowledge of the characters to craft an engaging story that will remain pleasing to fans of both series.